Prepare the cauliflower rice: Chop the cauliflower into large florets. Place ⅓ of the florets into a food processor. Pulse until the cauliflower resembles rice kernels. Transfer the cauliflower rice to a large bowl. Repeat this process 2 more times with the remaining florets. 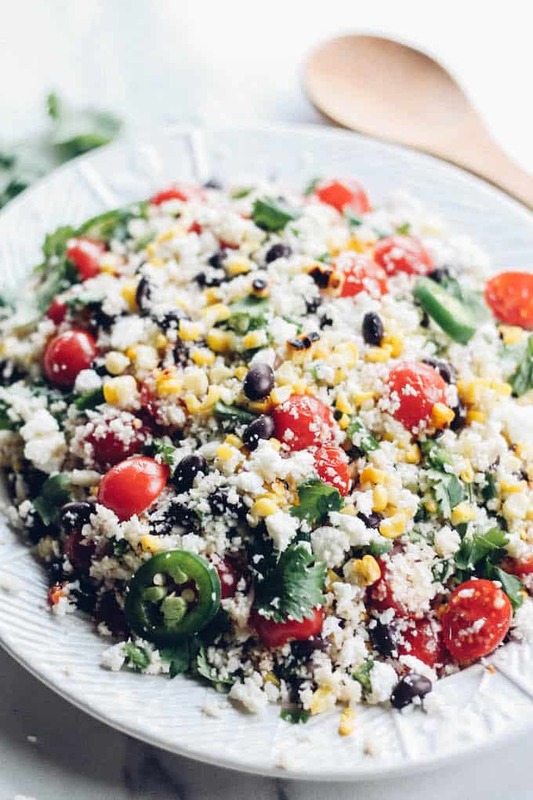 Prepare the salad: To the bowl with the cauliflower rice, add the onion, corn, black beans, jalapenos, tomatoes, cheese, and cilantro. Make the dressing: Add all of the dressing ingredients to a food processor or blender. Blend until smooth. Pour the dressing over the salad and toss to combine.